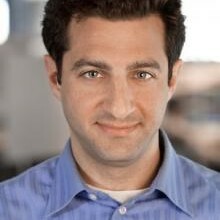 Previously, Ari served as a technology reporter at Bloomberg, covering networking, Internet and mobility and following deals and dealmakers in private equity and venture capital. He joined Bloomberg in 2003 as a stock market reporter in New York and moved to San Francisco in 2006 to write about Silicon Valley. He is also a regular contributor to Bloomberg Businessweek magazine. Ari has a master’s degree in business journalism from Baruch College in New York.